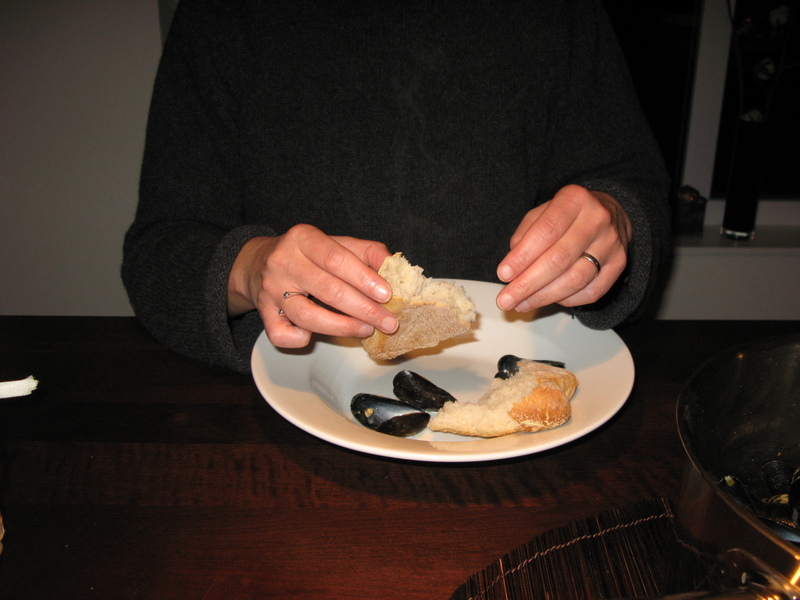 Now is the season for Muscheln, Moules, Mussels! 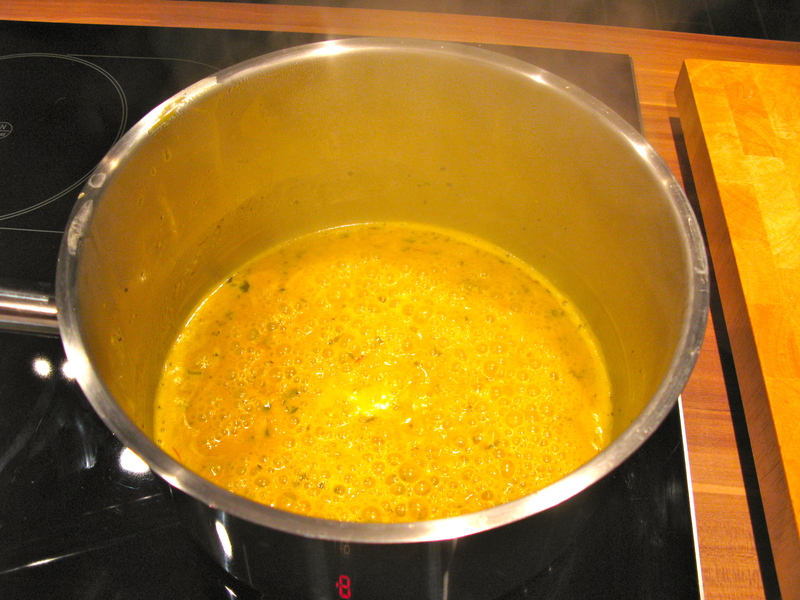 And here is the first post for my foreign readers 🙂 This recipe is not my own – I have taken it from Thomas Keller’s cookbook ‚Bouchon‘ but it is well worth being published in this way. I have changed the measures to metric (or my own – at some occasions) but basically, credit goes to the master, Mr. Keller! You need a regular (250g) block of butter – I prefer cream butter. Melt the butter in your roasting pot at medium heat, add the minced shallots, garlic, thyme, pepper, and reduce the heat to low. 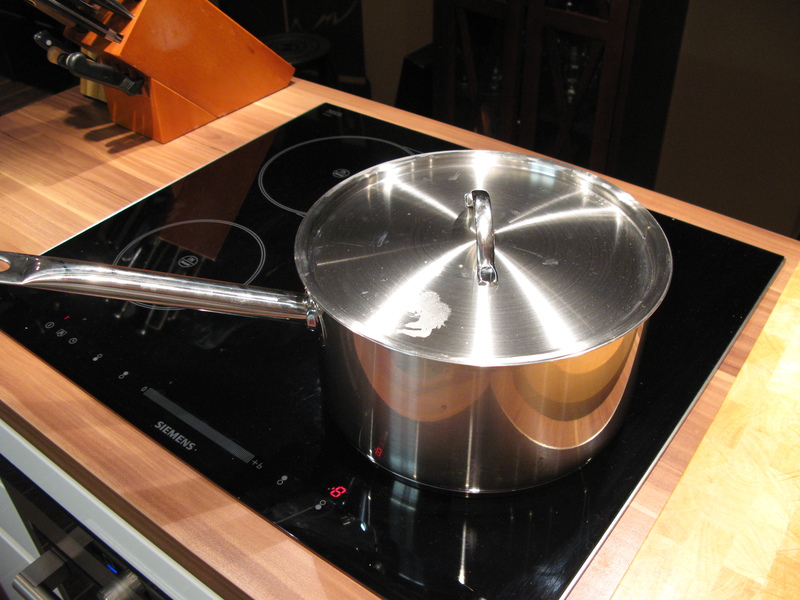 Cook gently for about 5 minutes. Add mustard and wine and bring to a boil. 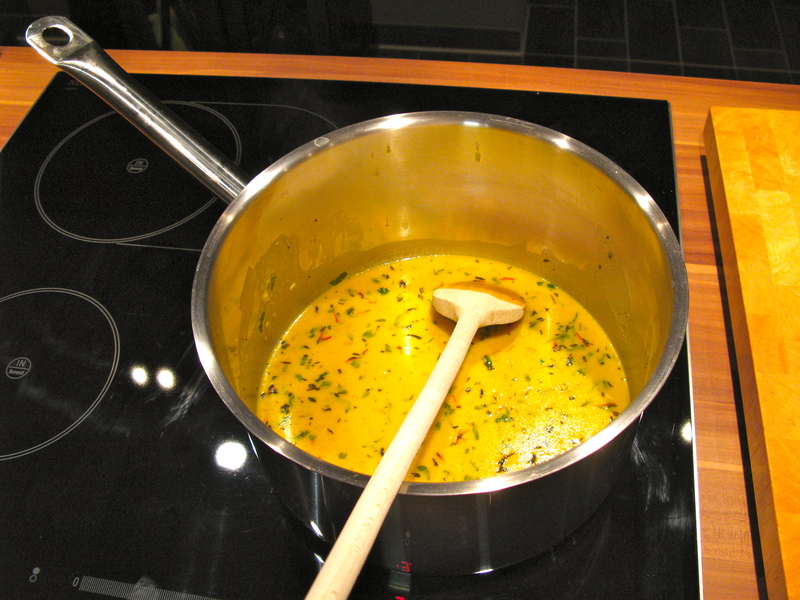 Reduce the heat and simmer for a few minutes, then add the saffron threads and cover the pot. Take it off the heat and let the broth steep for at least 20 minutes. 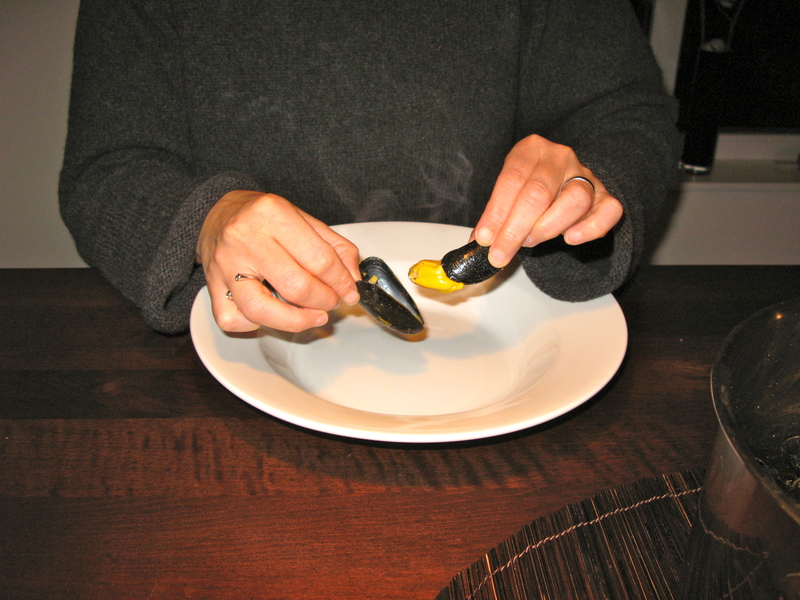 The salt will make the mussels think that they are in their natural habitat and they will begin to open and filter. After about 20 minutes, they should have filtered all the nasty stuff out – allow more time if you have it and want to be sure. 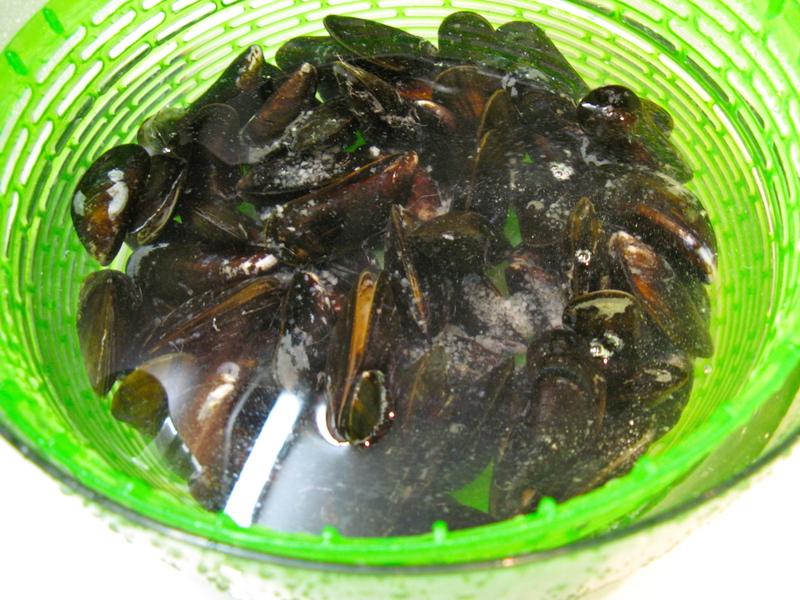 Most of the mussels will have opened up now and be happily filtering. 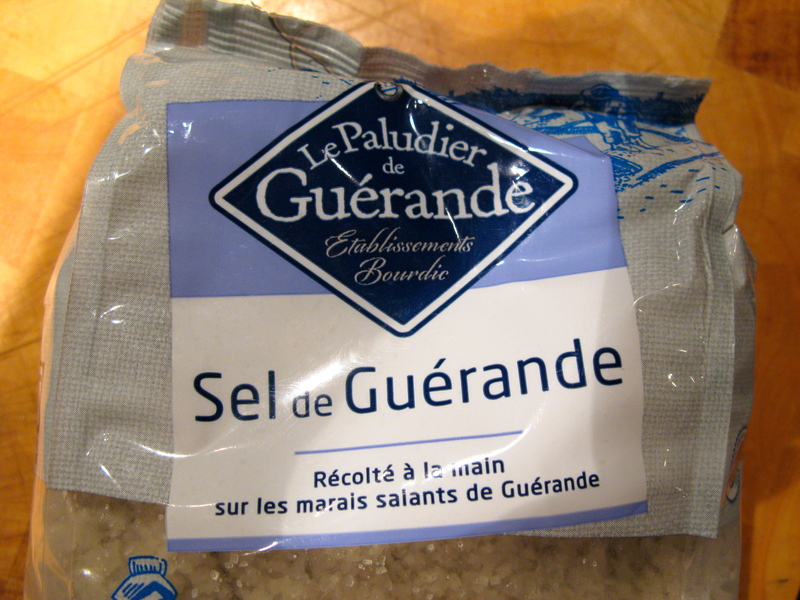 They will retain some of the salt – so you do not need any more salt for this dish. 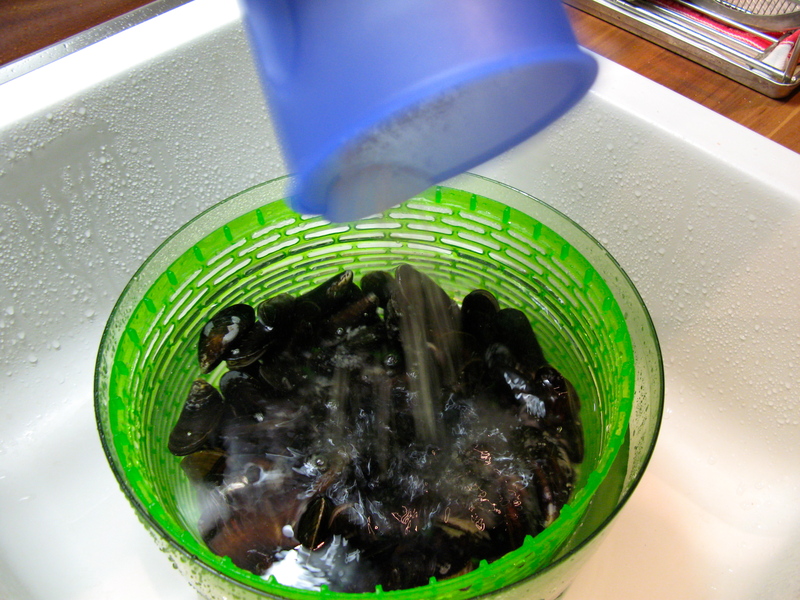 Then drain the mussels, rinse them again under clear, cold water, drain again, and jack up the heat for your broth. Add the mussels and stir to combine. 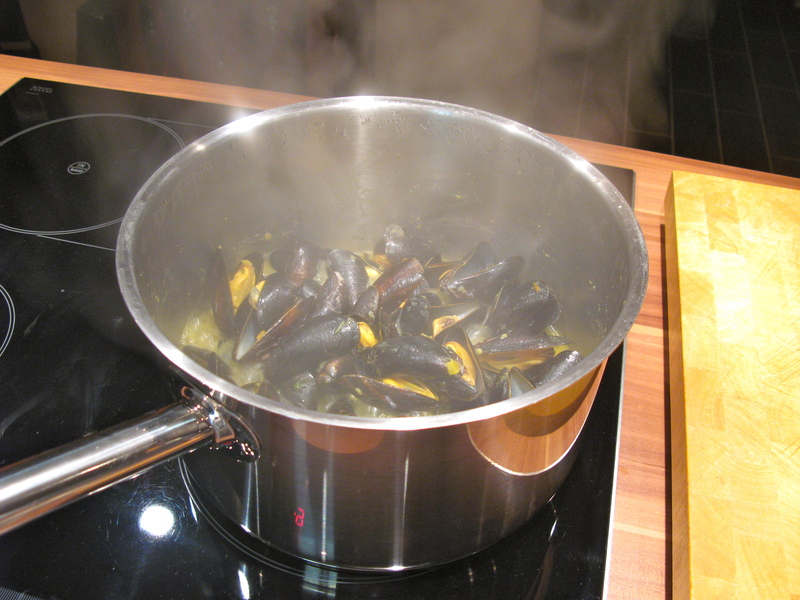 Cover the pot and cook for about 5 minutes, or until the mussels have opened. 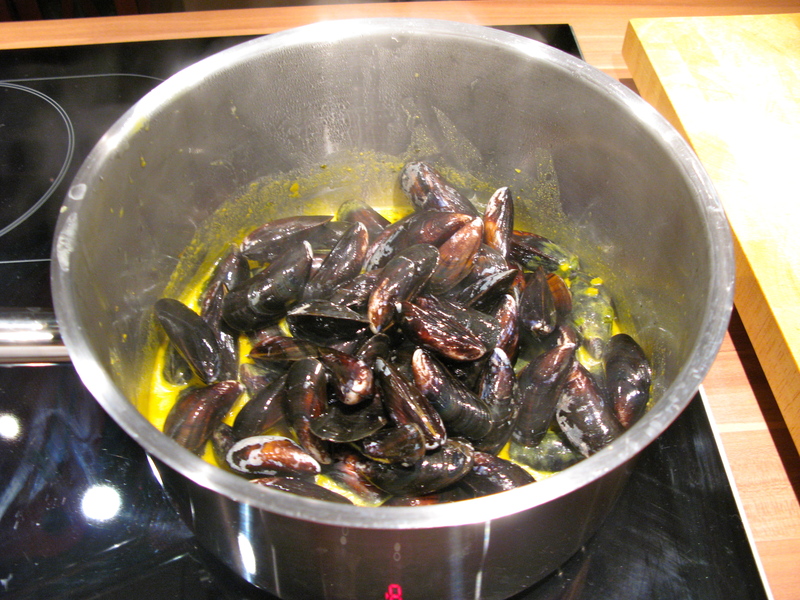 Toss the mussels with the chopped parsley and a few grinds of black pepper. 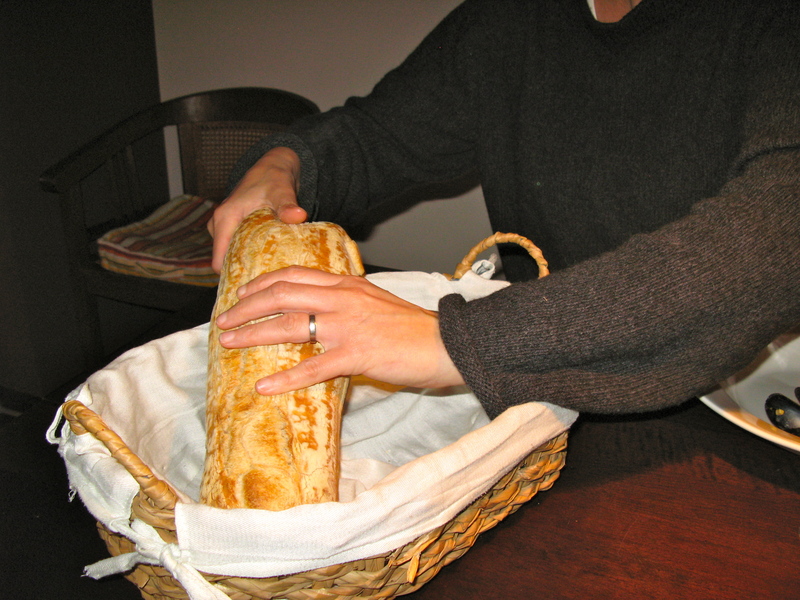 Serve straight form the pot, with some crusty bread. It still tastes almost as good as the original.